Many Jews get a warm feeling when they look at or mouth Hebrew letters. I certainly do. Hebrew letters of fire! But what about what the letters mean? I discussed this question elsewhere. (Letters of Hebrew fire – the depth and death of meaning). I pursue the matter further with the focus on the Zohar. The Hebrew word zohar means light, splendor, the Book of Splendour/Light. Together with the Book of Creation (Sepher Yetsirah), it forms the main canon of the Kabbalah. (“Tikkun is derived from the Hebrew verb “letaken” meaning to fix or repair. This verb is used all the time in everyday life and has no special meaning. The well-known spiritual meaning of this verb is inferred from two phrases: “Tikkun Olam” literally meaning “repairing the world” and “Tikkun Midot” meaning “repairing the character”. Both phrases are many times shortened and only the word Tikkun is used, the spiritual meaning being understood from the context”). Just because a Jew is Hebrew illiterate does not mean that he is unable to read the Zohar. So, reading the words without understanding, which is not difficult to do in a phonetic language like Hebrew, brings the day of redemption closer, if not as close as reading with understanding. Mouthing, therefore, is a valid and holy form of reading, if what is mouthed is Torah Hebrew. Keep in mind. 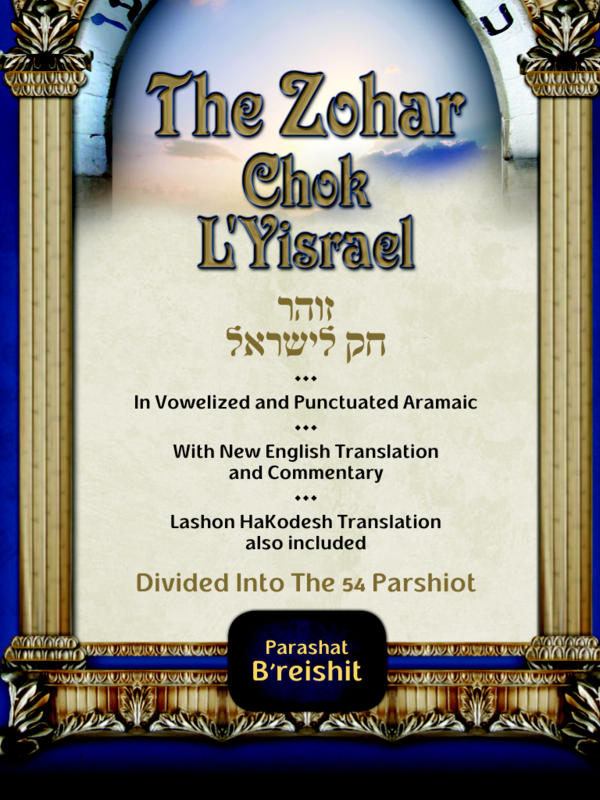 though, that the majority Jewish “Orthodox” view is that Zohar was,originally written in Aramaic (a dialect of Chaldean) interspersed with Hebrew. The Aramaic of the Zohar is not the same dialect as that spoken by Jesus. (A minority “Orthodox” view is that the Zohar is a medieval compilation of Moses de Lion but based on ancient sources). I’m reminded of an Islamic variation of the means of redemption described above: if a Muslim criminal is able to recite the Koran off by heart, he is granted his freedom. Most Muslims, however, are not Arabic speakers, and most of them cannot read the Quran with understanding, Yet there are a few who can recite the Q’uran off pat. The Muslim believes that only the Arabic language version of the Quran is effective. The Kabbalist Jews believe the same about the Hebrew of Now that the wisdom of the ‘Truth’ (I.e., Kabbalah) has become revealed and made known amongst the wise of Yisrael, which is an inheritance for the Assembly of Ya’akov from Moshe Rabbeinu, from Hashem, anyone who denies it or argues with it is called a ‘kofer’ (apostate), for he denies a portion of Torah Sh’b’al Peh (Oral Law), and he removes himself from the ‘Faithful of Israel’. For, from the time that it became well-known amongst the Jewish people, that is, from the time of the Ramban (1194-1270 CE) onward, there has not been a single Chacham (Torah scholar) from the wise of Israel or from the wise investigators [who has denied its validity]. However, previous to this time it was hidden and revealed only to a few fitting people in each generation, as it is known in the ‘Teshuvas HaGaonim’ (Responsa from 589-1038 CE). However, from the time of the Ramban it became known amongst the Jewish people and not a single chacham from all the wise of Israel, from whose waters we drink when learning their commentaries on Talmud, and Poskim, argued with it at all… This is the main rectification of learning Kabbalah more than any other area of Torah learning. For the rest of the areas of Torah learning are enclothed in matters of this world, which is not the case with Kabbalah, and particularly the words of the Arizal (1534-1572 CE), who built upon the Idras and Safra d’Tzniuta and the other secret sections of the Holy Zohar. All of its matters deal only on the level of Atzilut and the worlds of the light of Ain Sof. That is why the wisdom of Kabbalah is called ‘Nistar’ (Hidden)…” (Rabbi Shlomo Eliashiv ztk’l, Sha’arei Leshem, p. 525, In Zohar in English). With regard to redemption, one Jewish view, discussed above, maintains that the more Jews study the Zohar, or mouth it, the sooner Moshiach (Messiah) will come. Another view, expressed by the Lubavitcher Rebbe Scheerson, is that it may be your (if you’re Jewish) one tiny act of kindness that may bring Messiah. For by grace are ye saved through faith; and that not of yourselves: it is the gift of God: 9 Not of works, lest any man should boast. 10 For we are his workmanship, created in Christ Jesus unto good works, which God hath before ordained that we should walk in them. 11 Wherefore remember, that ye being in time past Gentiles in the flesh, who are called Uncircumcision by that which is called the Circumcision in the flesh made by hands; 12 That at that time ye were without Christ, being aliens from the commonwealth of Israel, and strangers from the covenants of promise, having no hope, and without God in the world: in Christ Jesus ye who sometimes were far off are made nigh by the blood of Christ. Judaism and Christianity are different and incompatible religions occupying different galaxies. This, for the Christian, does not mean, of course, that the Tanach (Hebrew scriptures) play second fiddle to the New Testament. They are both parts of the same fiddle, of the same harmony of the spheres. So don’t fiddle with either.